Anyone who knows me understands how I love writing science-fiction stories ; as well I’m recently in competition to have the opportunity to be ( if you will ) ‘under the wing’ of producer, actor and director, Ron Howard, through Imagine Impact. It’s my hope to better understand the filming aspect of Hollywood. Anyhow – I’m also grateful for my family and those who make an effort to be my friend. It means a lot to me and helps me grow into a better person. Writing science-fiction helps me release my inner self, searching for either a better future or ( if we continue along the path we’re all on ) the consequences of our actions. Recently I’m intrigued with Better Call Saul ( a spinoff from TVSeries Breaking Bad ). Patricia and I are totally captivated by its unique artistic plots. Each time I watch ‘Better Call Saul’ I’m reading the credits. One of the credits that sticks out the most is Executive Producer Mark Johnson. I’m all about similarities or coincidences, meaning somehow or someway, we’re all connected. You could say we meet for a reason OR , another way to express it, ( in the science community) “Quantum Entanglement”. Incredible, Mark is also into making films, founding partner in Fat Monster Films, a film production company located in Los Angeles. I realize the Mark Johnson of ‘Breaking Bad’ and ‘Better Call Saul’ isn’t the same Mark Johnson friend, but I believe it’s some kind of entanglement of our universe, leading us along a path together. Call me crazy (if you like) but I love thinking, there’s a reason we are engaged with others, no matter the distance. As a science-fiction buff, it’s frightening clear how our lives are intertwined. 2/11 With the collaboration of Mark Johnson and #Canadian producer Michelle Maxwell MacLaren of Vancouver (XFiles and Game of Thrones) Vince Gilligan created breaking bad. 4/ 11 Then came the spin off of #BetterCallSaul ( now starting it’s 4th Season) AMC has hit it on the mark w/ #BreakingBad and BetterCallSaul – both #TVSeries are extremely entertaining w/ the most professional team in show business. 8/ 11 I personally know a real lawyer ( Yes, you guessed it) Mark Johnson, w/ a team in San Jose, California who specializes in 3D Scanning & Photogrammetry for litigation. You can see Visual Law Group for yourself. 9/ 11 What makes this name similarity so incredible, my friend Mark Johnson is also involved in #makingfilms partnering in Fat Monster Films, a film production company located in Los Angeles. (www.fatmonsterfilms.com) I know, it’s just a coincidence, but hey ! I’m always intrigued w/ how we are somehow connected to this universe of ours. 10/11 Mark and I have a connection, each of us never wanted. We both loss a child. He loss his son David and me, I loss my daughter Jenni. It’s a group you never want to be apart of – parents loosing a child. In conclusion I would be grateful if you would indulge with me in this crazy world we live in. I’m truly grateful for all my connections here on FB , Twitter, Instagram and WordPress. It’s an unforgiving world we live in. Our journey is indeed a struggle, but I hope we can make a better world by sticking together, encouraging each other in success and unexpected tribulations. Whatever you’re going through, I hope you understand, we’re all together, fighting for the same things. All that I ask is that WE are good to each other. It seems in the past weeks I’ve been quiet on WordPress, when in fact I’m busy as ever, writing on a daily basis. Like any other writer, my mind doesn’t stop thinking or imagining new stories. However, there are times I’ll use other platforms to engage new audiences, like writing about recent world events along with social media interests. 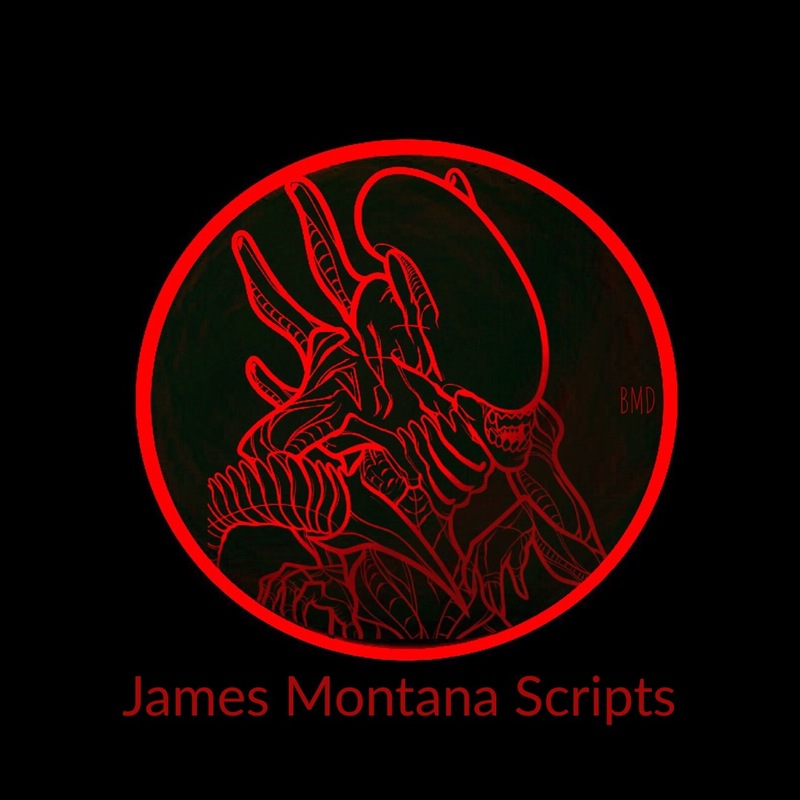 I have four science-fiction websites : James Montana Scripts, Genesis, Sci-fi Blog and Futurism. Each one engages SciFi fans, falling deeper into the rabbit hole. On social media, I use my writing skills on a completely different platform, gearing my love for Las Vegas. It’s an inside look, (using Facebook Pages) showcasing viewers into the mainstream of Las Vegas, with its lifestyle and vacationing opportunities. My site is called Vegas Reviews, ready to share our fun experiences with other Vegas Lovers, writing tips and giving real resort reviews on my website. My experience goes as far back as the 1980’s, with Las Vegas constantly changing on a weekly basis. It’s a madhouse to keep up, but still can do it. To complicate things, I’m an artist too, using Instagram as centre stage. Business wise, I keep to LinkedIn and Twitter, just in case a producer wants to get a hold of me, in regards to my screenplays. Like any other artist, my mind is racing with new ideas ; not enough hours in the day to attend to the whole package. My style of writing is far stranger then most, with some referring to me as the ‘Vincent Van Gough of writers’, due to my hidden keys of secret messages, lying deep within each storyline. As you read my stories , it’s my hope I’ve lead you onto a quest of finding the secret keys to opening the doors of treasures, like a pirate hunting for gold. I’m indeed a storyteller, competing within a sea of writers, but hopefully you’ve caught the biggest fish story of them all…my imagination. So you see, like all artists, we’re all in a barrel of pickles, trying our best to get picked as the juiciest pickle of them all, fighting the rivers current of creative writers, across the globe. It’s a daunting task to even think of making it to the VIP list, like J. K. Rowling or Stephen King. Therefore, I prioritize and concentrate specifically on my dreams and vivid science-fiction imagination, writing up a storm of ideas and fun storylines. IF by chance, my imagination captures your interest, I’m delighted and honoured you’ve taken a few minutes out of your busy day, to read my stories. I truly appreciate it! With that said, I don’t write to impress the wizards. Instead, I write because it’s what I love to do, pressing your imagination with magical unicorns, zombies, robots and angels from the cosmic universes and the dream world of my imagination. WHERE DID OUR ALIEN ANCESTORS GO? I believe I have the answer… my science fiction story BLACK ANGELS expresses the question mankind has asked since the beginning of time. In this answer my story follows a drug addicted war hero seeking revenge for his brothers death, willing to risk his crew in a mining expedition on planet AIPHA XL 420 ( known to us as EARTH). It’s essential they find a priceless RED CRYSTAL in order to save their species from a deadly virus. MISSION : By order of King Osiris, his elite team, the ROYAL EMPEROR GUARDS are sent to a newly discovered planet, ALPHA XL 420 (known to us as EARTH) to mine a life saving drug known as the illusive RED CRYSTAL. It’s vital they find it, mine it and ship it back before a deadly virus wipes out their species. Led by war hero Commander Cardin, along with eight military specialist and two A.I. androids, their mission is clear. Don’t come home until you find the most valuable crystal in the universe – RED CRYSTAL. Adding to the dangerous mission, it’s been reported, their long time rivals, the JOTUNNS were recently spotted in the same solar system. Commander Cardin will stop at nothing to honour his brothers death during the longest war in SIRIANS history – RED STORM. Destroying a colony of JOTUNNS would allow his brothers soul to be released on his journey into the afterlife, following the all mighty GOD ATUM. Unknown to the crew, a creature, only spoke in folklore as BLACK ANGELS, possess planet ALPHA XL 420, spreading its evil darkness upon the earth. The fate of the SIRIANS – it’s inevitable. Priestesses ISIS,THE GODS of SIRIUS, must protect her people at all costs. Will the crew be able to save their species ? I have a vision and this vision has already been written into earths history, long before mankind had a foothold on earth. Let me tell you the story of BLACK ANGELS – our Alien Ancestors. WE humans are indeed a diverse species with millions of years of evolution, developing in who we are today. It may be our evolutionary timeline was drastically altered by our ancient ancestors, but overall WE have survived. Interesting, our biological brain, still clouded with its mysterious beginnings, dictates our consciousness to do what we do. It’s the master of our biological body, controlling us everyday living on EARTH. Only our brain knows our darkest secrets. It feeds us with intel and safe guards, keeping our ‘Spiritual Being’ free from harm. That IS, only if, we listen to our inner thoughts. Somehow we have the option to reject our basic animalistic warnings, injecting ourselves to bodily harm. Complex our brain is, it too can be subject to all kinds of circuitry malfunction, from a birth defect to severe accidents. If our brain is healthy, firing up all its circuits, its amazing what WE humans can achieve. Believing who we are can be complicated. It’s clear our brain and consciousness are constantly fighting, trying to prove our very existence. The creation of man-made religion is clear of that, giving evidence to the battle inside of us all. Each tribe of human beings demanding our ‘religion’ is the right one. It has plagued us throughout our history, resorting mankind to its darkest moments of shame and incogitable terror. Our consciousness (controlled by our brain) believe we have a soul. The brain tries to calculate why we exist. Who are we? Where do we come from ? Those two basic questions have divided mankind from the very beginning of existence. To add insult to injury, our brain may think it’s all so powerful, becoming the savage dictators in our historical past and present, tormenting fellow human beings ; subjects to their rule. On an individual basis, we are constantly fighting ourselves. For example, I’ll give two different comical dialogues – my BRAIN talking to my ME. BRAIN : How do you feel ? ME ( Consciousness) : Who me? BRAIN : Yes you ! Who else am I talking to? ME : Why does it matter ? BRAIN : I need to know you are OK. Are you happy? BRAIN : Why aren’t you happy ? What could make you a happy person? ME : Finding my soul mate would help. Being financially secure would be another one. It would be nice if someone bought my screenplay BLACK ANGELS for $200,000. Then I could be financially secure. BRAIN : You’re a dreamer! BRAIN : What do you believe would make that prefect soul mate ? ME : Another female human being who has the same interests as me. Who backs me up, sharing identical views. BRAIN : You realize I’m laughing inside…right? There’s no such thing as that prefect soul mate. It doesn’t exist. It doesn’t exist because human beings are constantly changing, growing from what they were in the beginning. Stop dreaming and be realistic ! ME : Wait a minute ! That’s what I do. I’m a dreamer and a lover of life. That IS why I write. My interest in ‘Space Exploration’ and defining WHO we are, explores my inner thoughts into words. That IS ME. ME : I’m not a King ! BRAIN : No. But you ARE just another human being, trying to make his mark in life before you die, It’s inevitable. “ In this world, nothing is certain, except death and taxes.” Time is always against you. ME : OK then! Thank you Brain for making my life seem so promising. ME : You realize I’m being sarcastic…right? BRAIN : Of course I do ! After all I control your inner thoughts. BRAIN : Hello?! Good Morning! Up and Atom. ME : What ? What do you want? ME : Yeah …yeah…do I have to ? BRAIN : You must! I need me in top shape. So…let’s move those muscles. Get-up and begin your workout program. Up Up Up ! Besides, the rest of us had a talk. ME: What ?! Who? What do you mean? Your such a crazy Brain. BRAIN : I’ve just had a meeting with your heart, lungs and liver. They want me to be the spokesman. Actually, I’m the Leader of the Pack. Well…just between you and me, I’m much smarter than they will ever be. ME: It sounds like a conspiracy to me. What did you all talk about? ME: OK. But I don’t feel like it. BRAIN: Too bad. Cry me a River! Let’s get out of bed and out that door. ME : Ok ! Ok …fine! You’re such a nag sometimes. In conclusion our brain dictates who we are. But is it our consciousness ? Do we have a soul ? Is there more then our physical existence? I choose to believe there is more…a lot more. And I’m NOT talking about man-made religion or the singular GOD in the sky. No. I’m talking about SPIRITUALITY – OUR DESTINY. Everyone of us are intrigued by the legend of Atlantis in some way or another. To me it truly is fascinating ! If you’re an avid historian buff or love following the secrets of our ancient ancestors, you would of heard or read the dialogue passages of Plato himself, mentioning Atlantis. –	“ Many great and wonderful deeds are recorded of your state in our histories. But one of them exceeds all the rest in greatness and valour. For these histories tell of a mighty power which unprovoked made an expedition against the whole of Europe and Asia, and to which your city put an end. –	This power came forth out of the Atlantic Ocean, for in those days the Atlantic was navigable; and there was an island situated in front of the straits which are by you called the Pillars of Heracles; the island was larger than Libya and Asia put together, and was the way to other islands, and from these you might pass to the whole of the opposite continent which surrounded the true ocean; for this sea which is within the Straits of Heracles is only a harbour, having a narrow entrance, but that other is a real sea, and the surrounding land may be most truly called a boundless continent. –	Now in this island of Atlantis there was a great and wonderful empire which had rule over the whole island and several others, and over parts of the continent, and, furthermore, the men of Atlantis had subjected the parts of Libya within the columns of Heracles as far as Egypt, and of Europe as far as Tyrrhenia. –	This vast power, gathered into one, endeavoured to subdue at a blow our country and yours and the whole of the region within the straits; and then, Solon, your country shone forth, in the excellence of her virtue and strength, among all mankind. She was pre-eminent in courage and military skill, and was the leader of the Hellenes. And when the rest fell off from her, being compelled to stand alone, after having undergone the very extremity of danger, she defeated and triumphed over the invaders, and preserved from slavery those who were not yet subjugated, and generously liberated all the rest of us who dwell within the pillars. ATLANTIS is indeed a story handed down from generation to generation, searching for the lost continent of Atlantis. After much speculation and storytelling, the Atlantis story has been stretched from the truth. The grand story was once believed by many, “The People of Atlantis” were a highly advanced civilization, hinted as “The Gods from the Heavens”, aka Aliens. I even imagined they were the last of our alien ancestors from over 150,000 years ago. BUT – closer to the truth, historian Greek Philosopher, PLATO left behind written manuscripts from over 2400 years ago. In the beginning, most historians thought of his work only as a fictional playwright. However, (throughout the millenniums) under closer evaluation by numerous scientists, it’s now believed Plato’s manuscripts are true events in history. Indeed, Atlantis was an advanced city (considering the timeline of over 11,000 years ago), an island with several ring-shaped land mass protecting the inner island, (the size of Manhattan) housing a grand city of architectural structures with three story buildings, showcasing high tech ( at the time) large glass windows, overlooking the scenery of the spectacular Mediterranean Sea. Atlantis had all the luxuries of living within that barbaric century, from flushing toilets, roman type baths, oasis gardens with streamlined agriculture flourishing rich crops of wheat, Roman-type aqueducts ( apparently were supposedly invented 200 years AFTER Plato’s death) along with grand temples with massive pillars and arches. Incredibly, the Atlantis People had even mastered ship navigation, way before the Romans, Vikings or Greeks. Not only that, they had complex metals, that required a special set of skills, considered impossible during this era of time. Plato wrote of Atlantis, handed down from his grandfather. His grandfather heard this great story from Solon who heard it from the Egyptians. BUT – Who the heck is Solon ? Solon was a ruler of Athens but also, a friend of Plato’s grandfather. According to Plato’s manuscript, Solon and his entourage travelled to Egypt around 560 BC. He encountered Egyptian Priests of Sais who showed Solon ancient tablets, telling the story of ATLANTIS. As we all know, the Egyptians were masters of keeping accurate accounts of their historical past. So it’s only logical to believe Plato’s written manuscript of Atlantis, was indeed real, historical data handed down by his grandfather. –	” The story of Atlantis begins then: The Island and the sea around it take the name from his first son Atlas, although his real name was not Atlas (most of the original names in the narration had been translated by Solon to Greek, basing these translations on the meanings of the names, as it is explained in the Critias). –	Atlas was the Greek translation of a name meaning “the one supporting, raising, or upholding (the sky)”, the Egyptian god Schu o Shu, (who was the equivalent to the god Atlas). –	At the beginning of time, Poseidon built Cleito’s home on a high hill at the very center of the island, surrounded with five concentric rings of water and land for his wife’s protection, because – as it is spelled out – humankind did not know yet the art of navigation. The dates, as it coincides with the end of Paleolithic Period.” READ more the Chronology of Atlantis by Georgeos Díaz-Montexano. It appears Georgeos doesn’t believe Atlantis sunk into the ocean from a volcano, but I would like to agree to disagree. To understand it further, you have to ask the question,” Is the Greek island of Santorini evidence of the lost Atlantis? I would have to strongly agree with Dr. Martin Pepper’s compelling research, that Atlantis is indeed the existing Greek island of Santorini. By the Egyptians own accounts, a terrific doomsday event happened during this period of time, where a Super Volcanic Explosion completely destroyed Atlantis and its people. The chaos sent our EARTH into a dark winter, killing crops, covering the lands with volcanic hash and clouding the light from the Sun. It was indeed a HOLOCAUST of Biblical Proportions. To make it clear, the Bible recorded it. A massive Flood (caused by 10 – 20 metre high Tsunamis) swept across the earth. The lands rumbled with great earthquakes. This catastrophic event caused havoc and certain doom for the Atlantis People. It’s been said the Atlantis city was swallowed by the sea, never to be seen again! Furthering details of Atlantis, the island city was referred in the Bible as Tarshish. Even King Solomon mentions the “Sea People of Tarshish.” In fact, this is where the famous King of Israel received his riches of gold and silver. NOW – just imagine the immediate impact on Atlantis, if they were sitting on top of the most explosive bomb of their century? Not to mention the global effects causing considerable damage, forcing the survivors to deal with, what we today would call a “Nuclear Fallout”, very similar to a seven-factor Super Volcano. The cataclysmic event would certainly cause complete chaos across the surface of the Mediterranean region, including Egypt, Israel, Africa, Spain, Italy and Greece. It’s destruction would take years to recover! I believe Dr Martin Pepper’s research of Atlantis is without question, the existing Greek island of Santorini. Atlantis isn’t a myth or a great story, but true events recorded in history. In my mind, Atlantis has finally been discovered ! PS I hope you enjoy my stories from my Dreams and Reality. Please follow me here as well you can now “gift” our efforts by Vocal. If you’re a writer, you too may be interested in Vocal to encourage others to help support your efforts. Thank you for supporting anyway you can – I truly appreciate it ! 1.Timaeus translated by Benjamin Jowett. 2.Atlantis Found – documentary by Dr. Martin Pepper via History Channel. 3.Chronology of Atlantis by Georgeos Diaz-Montexano. The ART piece of Nefertiti and its relationship to Black Angels by Bari Demers. As you see above, my art piece is the Egyptian Queen Nefertiti, Royalty of the Pharaoh Akhenaten dynasty. However, you can see a remarkable change, including her alien eyes, I cleverly crafted. Queen Nefertiti is indeed a historical wonder, as there isn’t any trace of a tomb where she may lie today. One recent theory was believed her secret grave might have been hidden beneath the Tutankhamun’s tomb. Unfortunately, a radar scan preformed by a National Geographic team, turned up no visible trace. Whatever may be the case, their dynasty, indeed, was in turmoil. It may be as simple as tomb robbers have already taken the riches, fading into history. Optimist I am ( sound like Yoda – lol Read also Obi-Wan) it’s my belief it’s just a matter of time before they solve the puzzle behind our mysterious Queen Nefertiti. The before image ( as you see) is the original artifact, presently on display at the Neues Museum in Berlin, Germany. My transformation of Nefertiti took over 8 hours, into the image you see now. There are several stages of intricate artwork to transform my art of Nefertiti into the goddess for my genre science-fiction horror screenplay Black Angels. I’m NOT a professional graphic artist but a freelance screenwriter. Even still, I do have two years of Applied Arts from Okanagan College in Kelowna , BC, Canada 🇨🇦(way back in the 70’s). Since then technology and graphic art techniques have changed drastically with the help of computers. If I were to restart my career today I would apply at the Visual College of Art and Design (VCAD) in Vancouver. Here they provide excellent courses on Visual Effects Art and Design, Graphic Design, Game Development and Design. Maybe then I would be accepted at MPC Film ( Movie Picture Film Company), also in Vancouver. As they say,” It is what it is”, meaning I can’t change my history. However, any ART I do is often an expression of who I am inside. Be it, writing my science-fiction stories or painting, it means so much to me personally. Maybe one day I will be as famous as Picasso, like so many dead artist are. Who knows? Lately, my concentration of my art is simply to promote my screenplay Black Angels. I want my audience (scifi fans) to envision my characters within my storyline. Black Angels is a science-fiction horror genre based on the arrival of our Ancestors and how it changed mankind forever. Nefertiti is a descendant of Queen Siri . Queen Siri is believed to be one of “The Gods of the Heavens” who traveled here from Planet Sirius 5, within the Canis Major Constellation. Even though ancient Egyptians built remarkable architectural pyramids, they still weren’t the true gods from the heavens. Even though the “Gods of the Heavens” did visit earth, they left due to mysterious reasons. I believe my screenplay has cracked the case on what really happened to our alien ancestors. Queen Siri was a descendant of the true gods, who helped the human Egyptian race to form their ancient culture. After the “Gods of the Heavens” disappeared, they tried to imitate the gods as best as they could, but still were not as effective as the gods were. The pyramid structures of today are a good example of this. Nefertiti was indeed a real Egyptian Queen and a legacy to the Egyptian history. Even though she was descendant of Queen Siri , only Queen Siri and her crew were responsible in transforming us human beings into what we are today. It’s my believe, theses gods were a highly advanced civilization who discovered earth over 150,000 years ago, in the time mankind was still trying to get a foothold on earth. With cross genetic manipulation, man’s evolution was fast forward into the creation of a different kind human race. Different in, if mankind continued on without altering our genetics and followed the evolutionary timeline, it would have taken man another two millions years to develop correctly. Today, it’s obvious how a destructive race of human beings we can be. Our history and religion surely shows our cruel vindictive selfs. Maybe if the “Gods of the Heavens” were here today, guiding us into a better race of people, (we so far miserably failed) we may have become a more peaceful respectable human species, without war, crime and deceit. Unfortunately, something terrible happened to our true ancestors and it’s my belief my story of Black Angels explains their fate. It may be, they’re secretly here on Earth – you never know! I hope you enjoy my ART and stories. Please support my efforts by either purchasing my art or gifting within my stories.